Extremely mild shampoo for sensitive scalps. 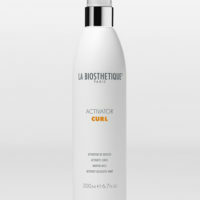 Normalises the scalp environment, alleviates irritation and redness. Lipoamino acids work actively in the hair to reconstruct damaged hair. The texture of the hair is improved. Order in 05 hrs 50 mins 44 secs and select next day delivery at checkout. 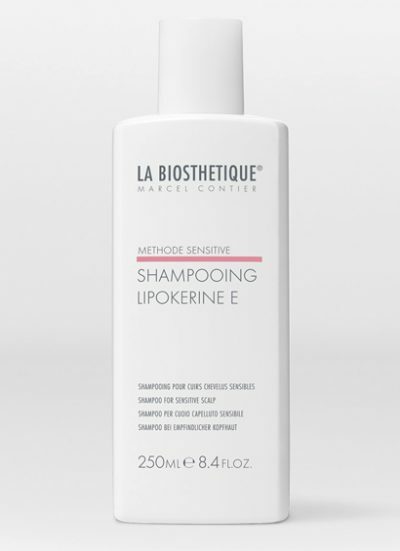 La Biosthetique Lipokerine E shampoo provides extremely sensitive and gentle cleansing of irritated scalps and sensitive hair, soothes irritations and provides calming care, shine and new elasticity. La Biosthetique Lipokerine E shampoo contains valuable ingredients to calm irritated scalps and sensitive hair as soon as you begin washing. Fine plant lipo amino acids rebuild the hair quality. Flyaway hair? Is rapidly tamed. Thanks to antistatic properties of the structurising shampoo for sensitive scalps. Static hair is prevented and sensitive hair becomes beautifully combable and stylable. High-quality frankincense extracts and active panthenol calm the scalp and reduce skin irritations. 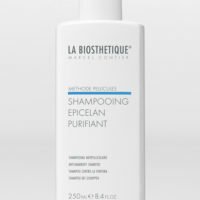 The structurising shampoo pampers irritated scalps, normalises the scalp environment and rebuilds the important protective acid mantle. The desired scalp sensation is instantly achieved. The scalp’s functioning is restored – ideal conditions for healthy, beautiful hair. 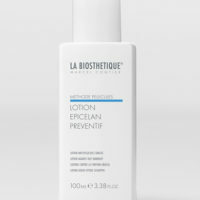 Shampooing Lipokérine E restores the natural balance and makes sensitive scalps feel good again! Physiologically active panthenol: boosts the healing of irritated scalps. Guar bean polysaccharide: improves the hair’s combability and softness. Brush hair out and moisten with warm water. Distribute approx. 7-10 ml of Shampooing Lipokérine E along the parting of the scalp and lightly massage in to the scalp. Lather up the hair again with water and then rinse. If necessary, can be performed a second time.